A holiday in Mykonos Town offers a chance to relax on picturesque beaches and explore a labyrinth of charming streets lined with traditional white houses. To see ratings, other places to visit, maps, and more tourist information, use the Mykonos Town trip itinerary website . Birmingham, UK to Mykonos Town is an approximately 6.5-hour flight. You can also do a combination of train and flight; or do a combination of train, bus, and ferry. Due to the time zone difference, you'll lose 2 hours traveling from Birmingham to Mykonos Town. Prepare for a bit warmer weather when traveling from Birmingham in May: high temperatures in Mykonos Town hover around 26°C and lows are around 20°C. Cap off your sightseeing on the 28th (Mon) early enough to travel to Delphi. Start off your visit on the 29th (Tue): pause for some serene contemplation at Byzantine Church of Agia Eleousa (Panagia Mavromantila), then get engrossed in the history at Delphi Archaeological Museum, then delve into the distant past at Delphi, and finally contemplate the long history of Temple of Apollo. Get ready for a full day of sightseeing on the 30th (Wed): take in the architecture and atmosphere at Church of the Holy Trinity, explore the fascinating underground world of Corycian Cave, then don't miss a visit to Distomo Massacre Memorial, and finally take in the spiritual surroundings of Hosios Loukas. For ratings, reviews, and other tourist information, you can read our Delphi attractions planner. Getting from Mykonos Town to Delphi by combination of ferry and car takes about 5 hours. Other options: do a combination of flight, shuttle, and bus; or do a combination of ferry and bus. Traveling from Mykonos Town in May, Delphi is little chillier at night with lows of 15°C. Finish your sightseeing early on the 30th (Wed) to allow enough time to drive to Olympia. 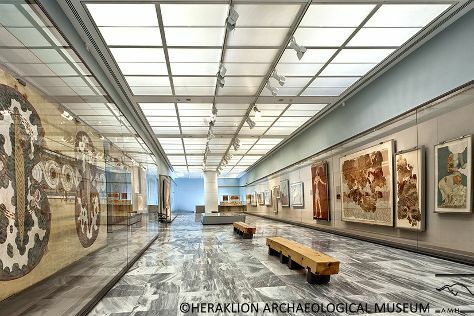 Kick off your visit on the 31st (Thu): see the interesting displays at Museum of the Olympic Games, explore the ancient world of Ancient Olympia, appreciate the history behind Hermes by Praxiteles, then look for gifts at Kukuvaya, and finally look for gifts at Aristoteles Olivewood Workshop. 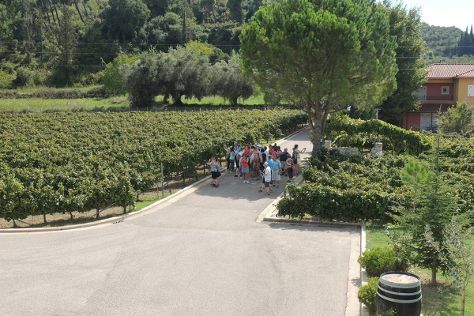 Here are some ideas for day two: take an in-depth tour of Archaeological Museum of Olympia, do a tasting at Olympia Land Winery, and then examine the collection at Archimedes Museum. For ratings, maps, reviews, and more tourist information, use the Olympia online driving holiday planner . Traveling by car from Delphi to Olympia takes 3.5 hours. Alternatively, you can take a bus. Expect a daytime high around 28°C in May, and nighttime lows around 15°C. Wrap up your sightseeing on the 1st (Fri) to allow time to drive to Athens. 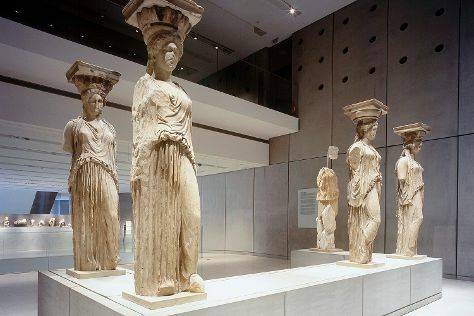 Acropolis Museum and National Archaeological Museum will appeal to museum buffs. Do some cultural sightseeing at Monastiraki and Plaka. And it doesn't end there: explore the ancient world of Acropolis of Athens, look for gifts at Gallery Demeter, pause for some photo ops at Temple of Olympian Zeus, and make a trip to Ancient Agora of Athens. To see reviews, more things to do, and tourist information, use the Athens road trip planning tool . You can drive from Olympia to Athens in 3.5 hours. Alternatively, you can take a bus; or do a combination of bus and train. Expect a bit warmer evenings in Athens when traveling from Olympia in June, with lows around 24°C. Wrap up your sightseeing by early afternoon on the 5th (Tue) to allow enough time to travel to Heraklion. Start off your visit on the 5th (Tue): pause for some serene contemplation at Church of Saint Titus. To see traveler tips, photos, and other tourist information, read our Heraklion journey maker app . Getting from Athens to Heraklion by combination of subway and flight takes about 3 hours. Other options: do a combination of taxi and ferry; or take a bus. When traveling from Athens in June, plan for slightly colder days and about the same nights in Heraklion: temperatures range from 32°C by day to 22°C at night. Finish your sightseeing early on the 6th (Wed) to allow enough time to ride a ferry to Fira. Fira, the busy capital of Santorini, sits on the very edge of a volcanic caldera. 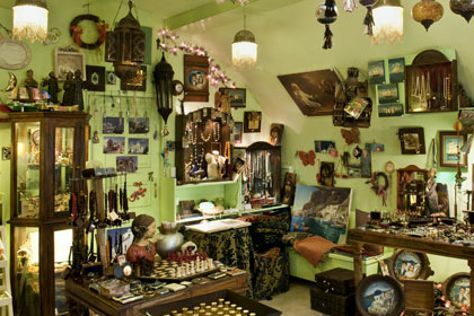 On the 7th (Thu), look for gifts at Oneiro Jewelry, see the interesting displays at Museum of Prehistoric Thera, stop by Faros Market, then delve into the distant past at Akrotiri, and finally stop by Koukla Art. On the next day, stop by Aquamarine Jewelry, look for gifts at Epilekton, then stop by Stardust, and finally stop by Atlantis Books. To find where to stay, reviews, and tourist information, go to the Fira trip planner . You can ride a ferry from Heraklion to Fira in 2 hours. Another option is to do a combination of flight and bus. In June, daytime highs in Fira are 32°C, while nighttime lows are 24°C. Cap off your sightseeing on the 8th (Fri) early enough to travel back home.